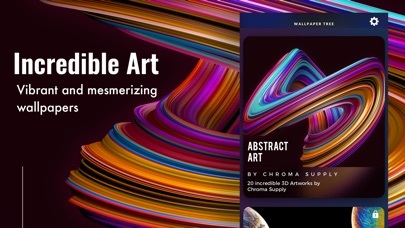 Wallpaper Tree has the best selection of high resolution wallpapers for iPhone XR, XS, XS Max, X, 8, 7 & Plus size devices. Best of all, we plant real trees on your behalf to help save the environment every time you renew your subscription! 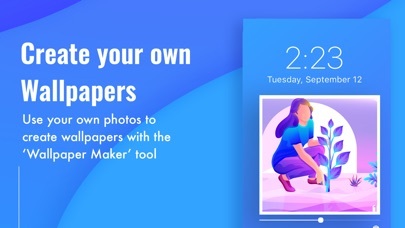 Every image is hand-picked and edited to perfection for your phone. Get high resolution, ultra-clear images from professional photographers for your home screen or lock screen. If you want architecture, animals, flowers, seasonal designs or any other design, you can find it on Wallpaper Tree. Make your phone screen and the world a little more beautiful with Wallpaper Tree. 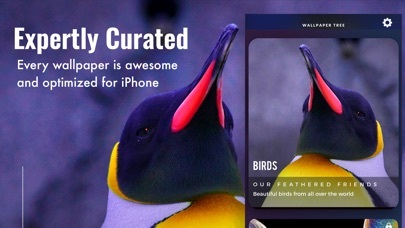 CURATED WALLPAPER • Every wallpaper is hand-picked and edited to perfection for iPhones. 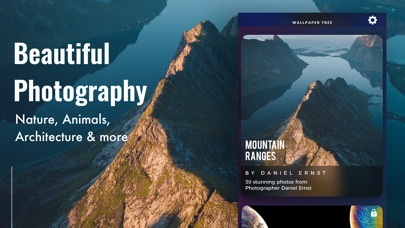 • High resolution, ultra-clear, ultra-stunning wallpapers from our photographer partners. • No image-dumping - we make sure that each and every wallpaper is amazing. • Awesome 'Wallpaper of the Day' and “Quote of the Day” added every morning! • Unique Categories – Landscapes, Dogs and Cats, Music and Concerts, Flowers and much more! TREE PLANTING • We plant 1 tree on your behalf every time your membership renews! • Wallpaper Tree has planted over 30,000 trees in Africa so far! 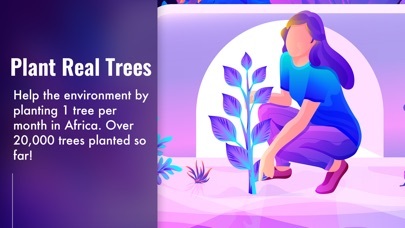 • Our goal is to plant 1 million trees, but we need you to help us get there! ****** Wallpaper Tree PRO The app is free to use, but you can get more by becoming a Pro member. This provides access to premium features such as all pro collections. PRO PRICING & TERMS For upgrades we offer these subscriptions: 1 month for $2.99*/$0.99* [NB/ Changes per local] – New Wallpaper Collections weekly and 1 tree planted every month! 1 week for $0.99* [NB/ Changes per local] - New Wallpaper Collections weekly and 1 tree planted every week! 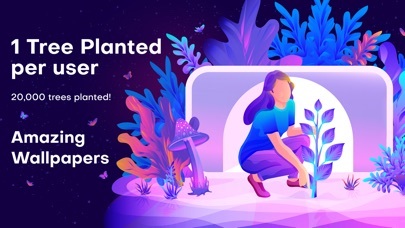 1 year for $14.99* [NB/ Changes per local] - New Wallpaper Collections weekly and 12 trees planted behalf every month! * Prices displayed are USD$, actual charges might be converted to local currency depending on your country of residence. Payment will be charged to your iTunes account at confirmation of purchase. Subscription automatically renews unless auto-renew is turned off at least 24 hours before the end of the current period. Account will be charged for renewal within 24 hours of the end of the current period, and the cost of the renewal will be provided. Weitere Apps von Livintis W.L.L.